Well, that is it. Janaury is offficially over with perhaps the coolest looking release of the month. Add to this the forcoming coverage by No Clean Singing and the fact this band has no Metal Archives page, and yhou have the [potential for a hype explosion that will be celebrated by a small group of people on the internet. Whatever the future holds for the oddly named Abyssal Vacuum, it will be marked by an explosive demo that again has the coolest looking cover in recent memory. Very much like their name, the sound for Abyssal Vacuum is cavernous and akin to falling backwards through chasms that never seem to end the suffering. 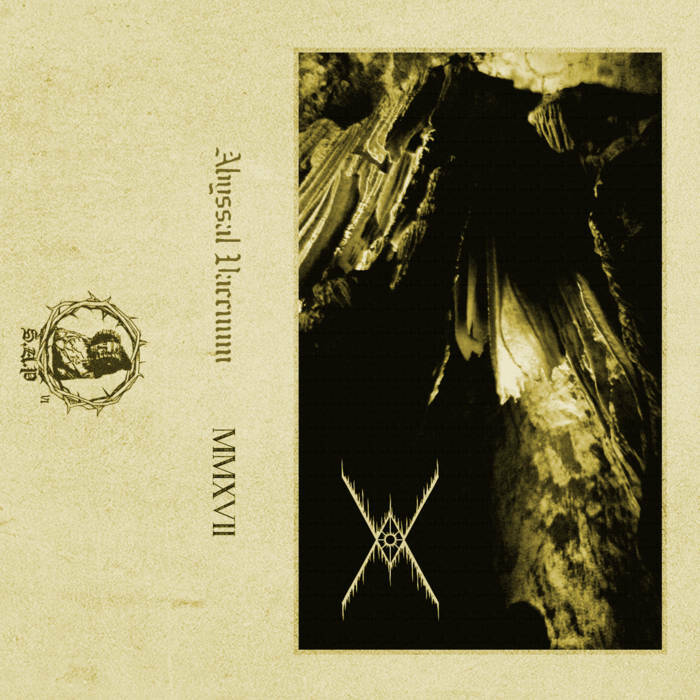 Even though the cavernous death style has been mined excessively over the past few years, Abyssal Vacuum is not apart of that sound rather chooses deep arcane sorcery performed in a lightless void. The addition of the subtraction of information adds to the band’s mystic allowing a single track to act as a beacon for anyone seeking this type of aesthetic. Abyssal Vacuum knows its audience and delivers well. Solar Asceticists Productions, by hook or by crook, has managed to release two demos with great success in a style that is only popular with a select group of people. The Cendres demo, released lat month, is swirling hypnotic black metal which again is super cool but also super niche. I have no idea who is hyping this label so early but the end result is decent demo releases with above average tape covers. I will not complain rather relish in the glow of arcane sorcery.